This week one mural was painted in the backyard of parents. This week one artist used multimedia to give his mural its special effect. This week a couple of murals were created in collaboration with other artists. 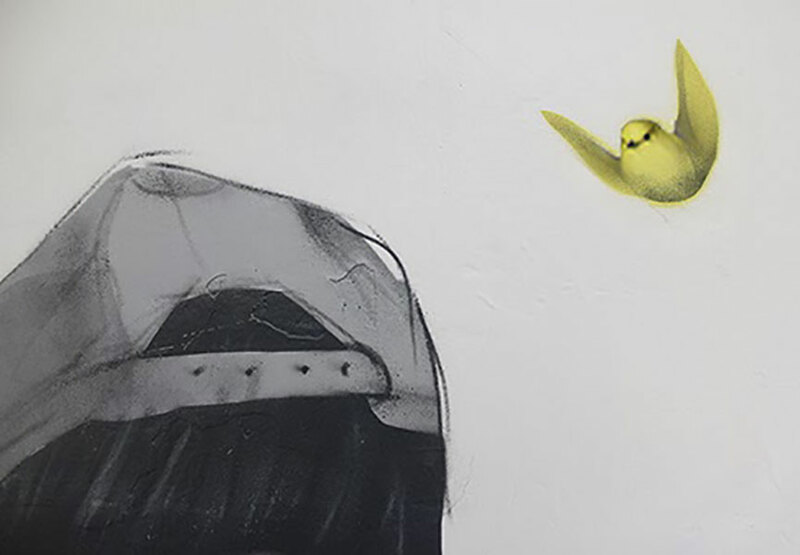 This week several artists have created one, two or three extremely popular murals in a very short time. Street Update #19 is one of the most visually stimulating features we had so far. The artists really outdid themselves in terms of artistic delicacy, finesse and execution. It is a selection of murals that you made, but now take a closer looks at these works of art and we promise they image will stick. New Zealand’s most famous street artist Askew1 painted this impressive mural in Auckland New Zealand. 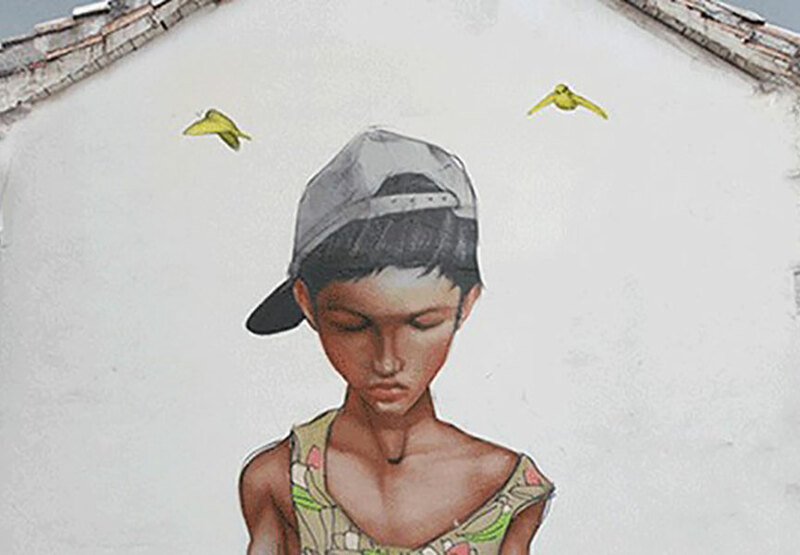 The artist was invited by the parents of his friend Olivia Laita to paint the wall in their backyard. 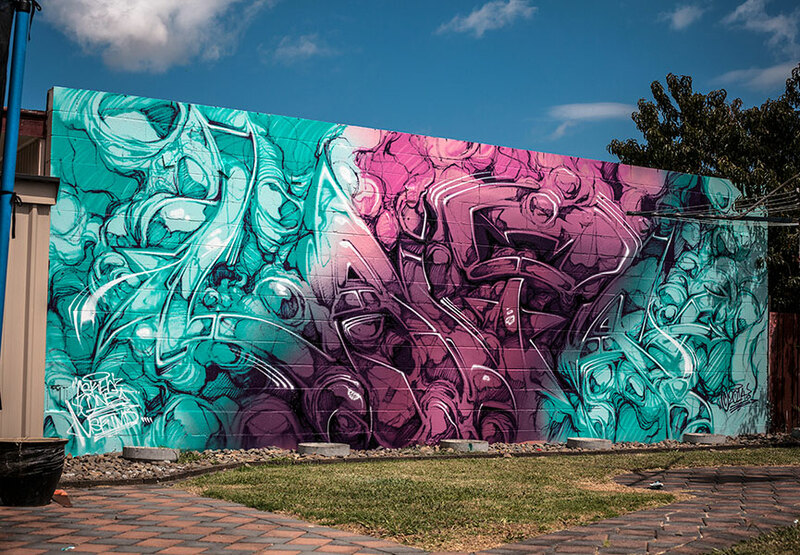 The green and pink graffiti-esque mural is a change to his most recent abstract graffiti works. 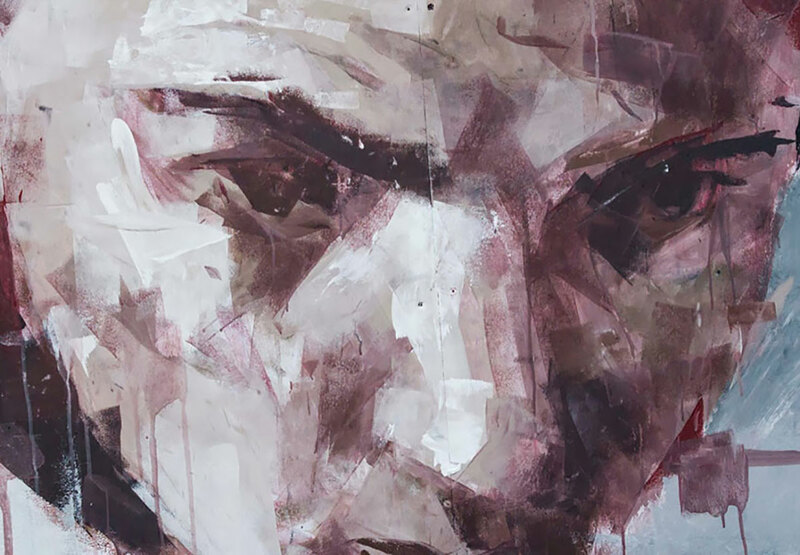 His abstract works depict portraits fused with classical graffiti techniques. This mural in the backyard of the Laita’s reminds of Askew’s TMD crew times. 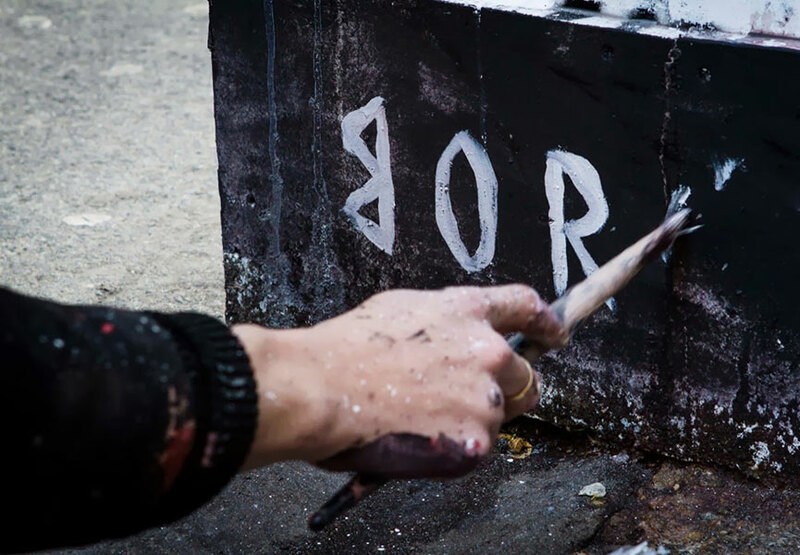 The classic graffiti piece incorporates arrows, color transitions and white shadows surrounding the lettering: L A I T A. 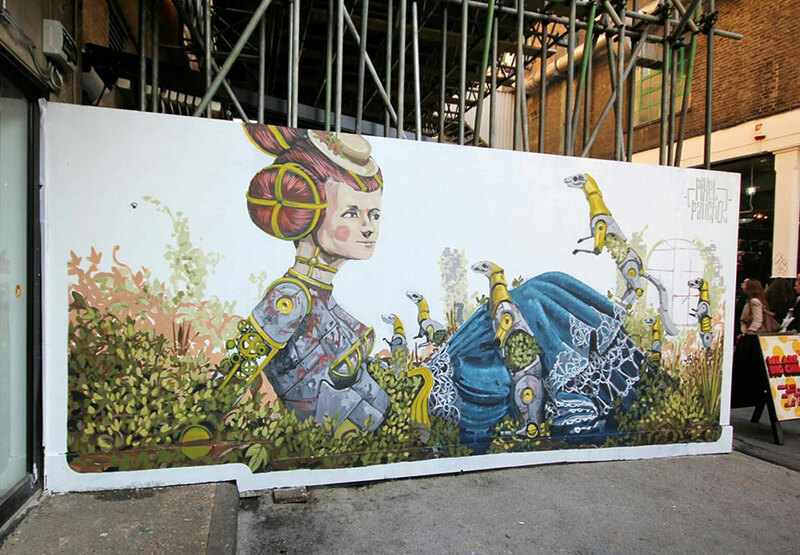 As you might have noticed the Spanish street artist is beautifying the British capital at the moment, painting one amazing piece after the other. 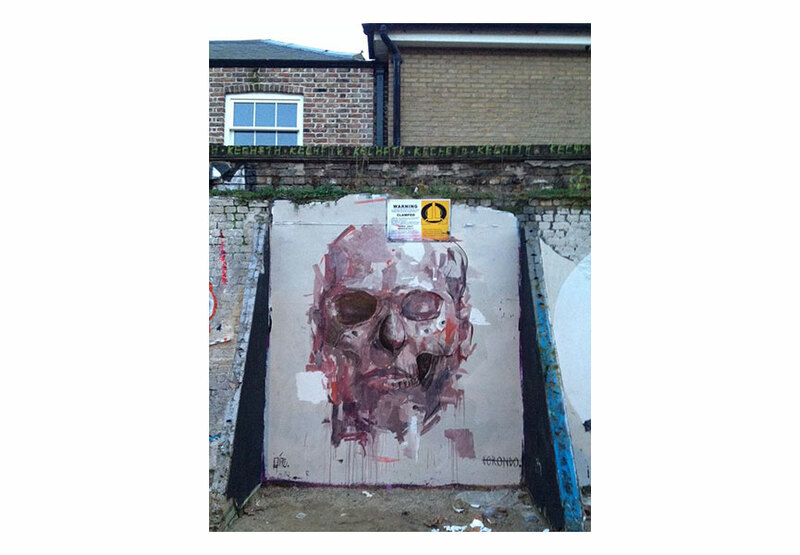 After having painted the flower themed “Looking For” mural, Borondo completed another mural titled “Cheese” and teamed up with Alexis Diaz, who is in London for his exhibition at RexRomae together with JAZ. It was RexRomae that supported both murals. “Cheese” is located in east London at the Truman Brewery. The mural shows a man locked into a white pillory. 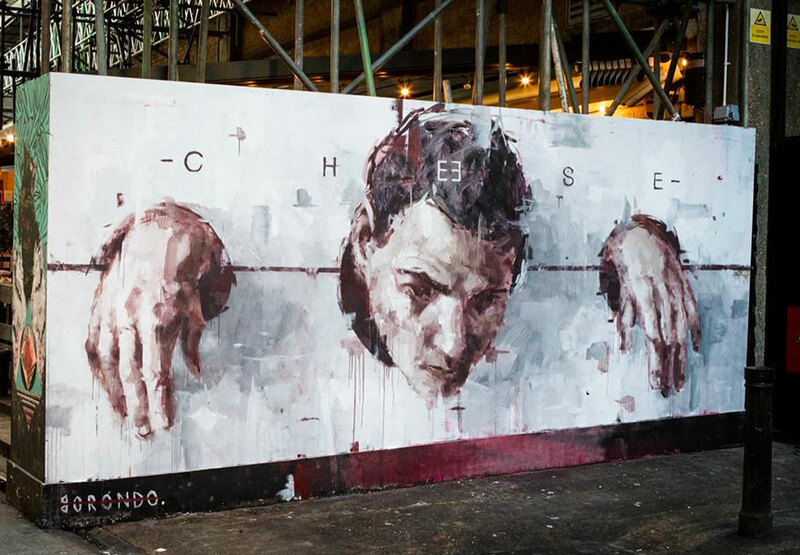 Above the man’s head Borondo wrote the word cheese, in straight and wide-spaced lettering contrasting the medieval torture device. 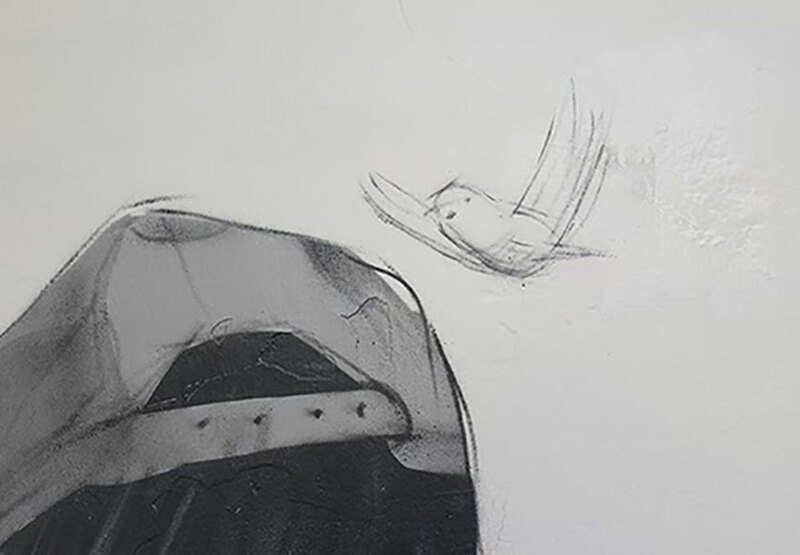 His collaborative piece with Alexis Diaz combines characteristic imagery of both artists. The grounding is a signature Borndo portrait created with paint rollers. 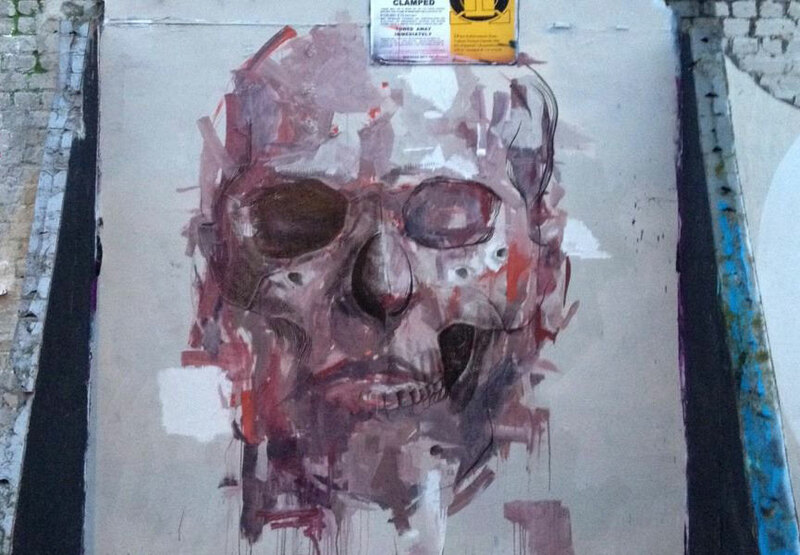 Alexis Diaz adds the photorealistic scull at the center of the mural. 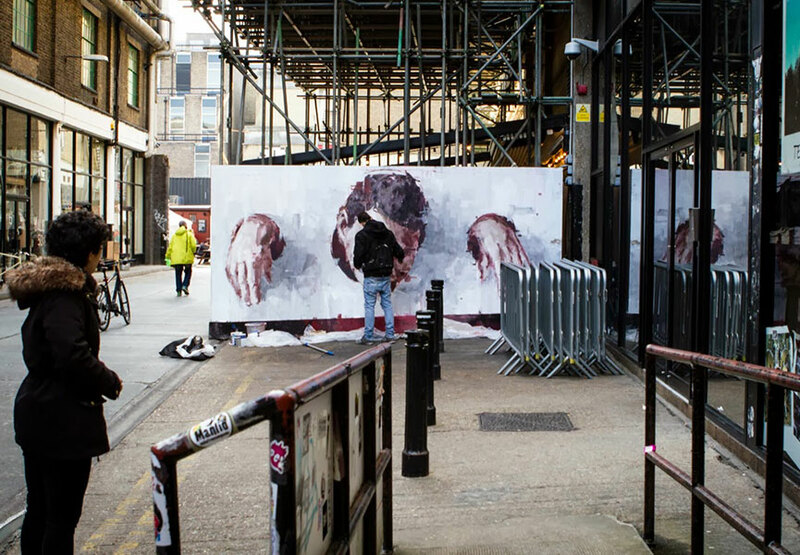 The mural seems to be fading from Borondo on the left and Diaz on the right. Both artists signed at opposite corner of their characteristic elements. 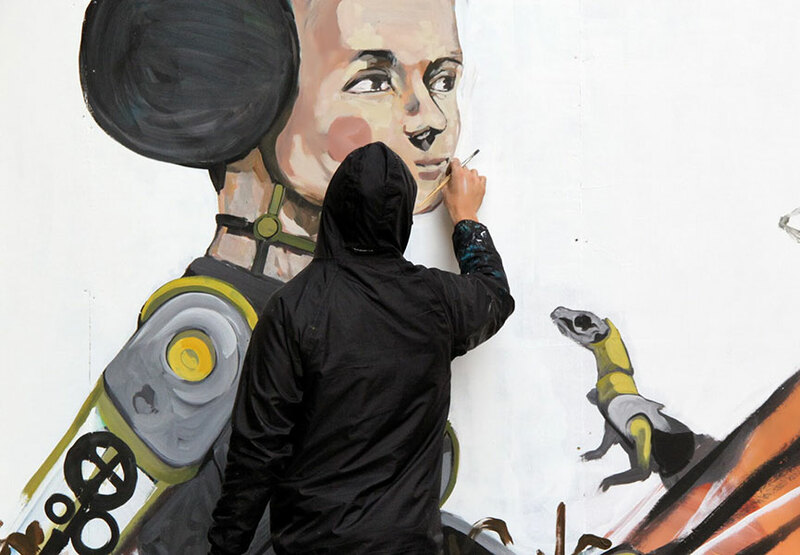 The Spanish graffiti artist Víctor Pacheco Fernández a.k.a. 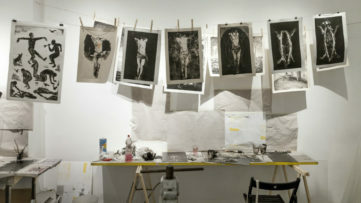 Cheko is best-known for his mix of two and three –dimensional techniques. 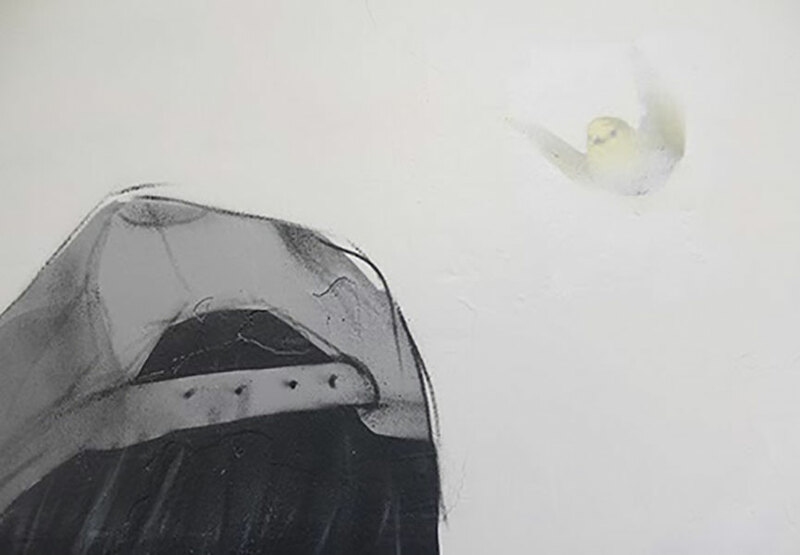 Cheko is extremely versatile, often combining contrasting imagery to create a beautiful whole. This piece is does not so much use different techniques or imagery but a new sub-group of graffiti: Giffiti. Cheko painted the birds circling the boys head and took a picture. He then covered up the birds and painted them again at another location around and took a picture again. The artist repeated this process 5 times and then saved the pictures in gif. format. Gif. stands for ‘Graphics Interchange Format’ and that is what the images are doing. They are interchanging creating the illusion that the 5 pictures are like a movie. The birds are circling around the boy’s head. 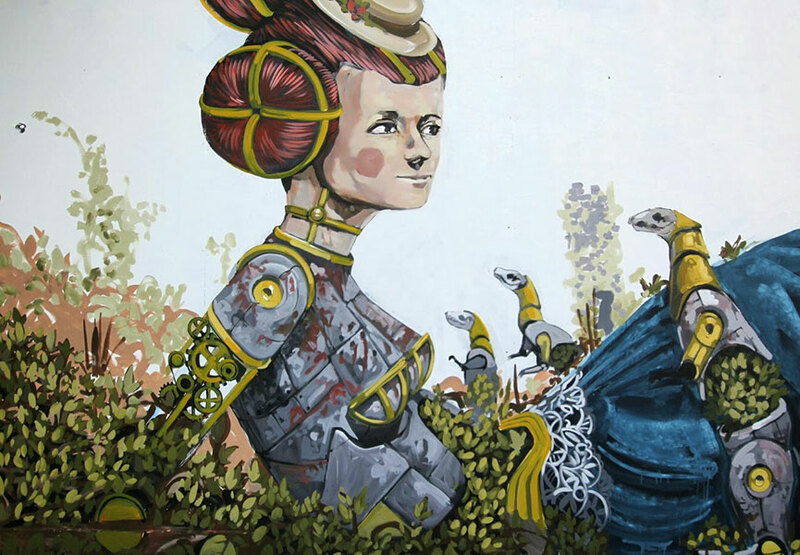 The Italian artist Pixel Pancho is one of our personal favorite muralists. 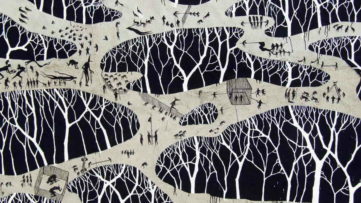 His 1950’s robotic imagery is fantastic, positive, retro, beautiful and imaginative. The concept that the robot is just an alternative versions of humans created by us to assume the property of aging. 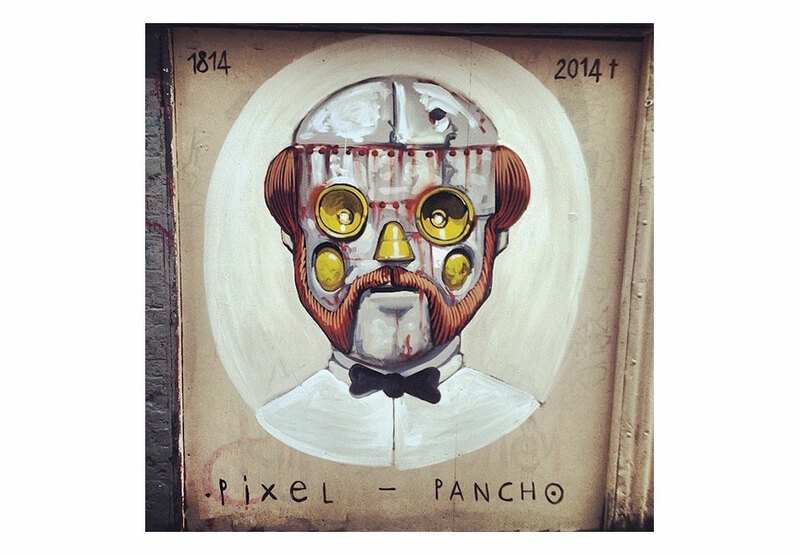 Pixel Pancho display the vanity of humans by putting his robots in aesthetics position, like posing for a photo or lying in the grass. 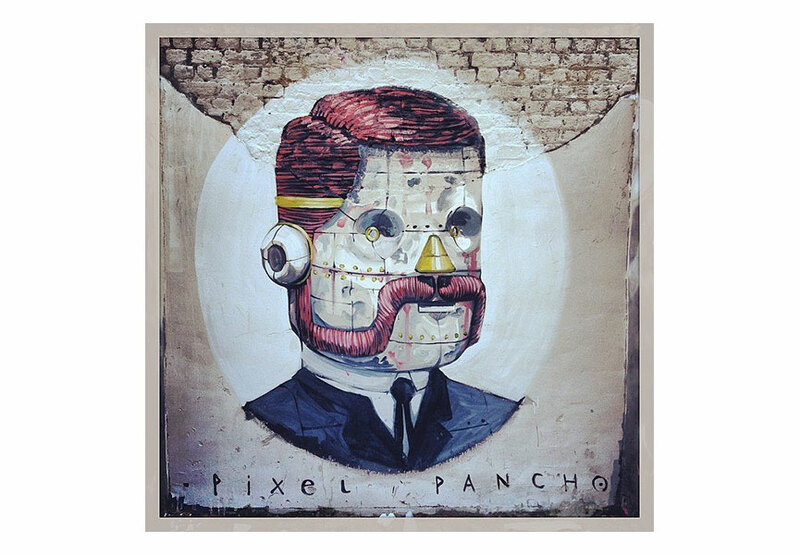 These Pixel Pancho murals were all created in London that seems to be the meeting place for outstanding urban artists at the moment. 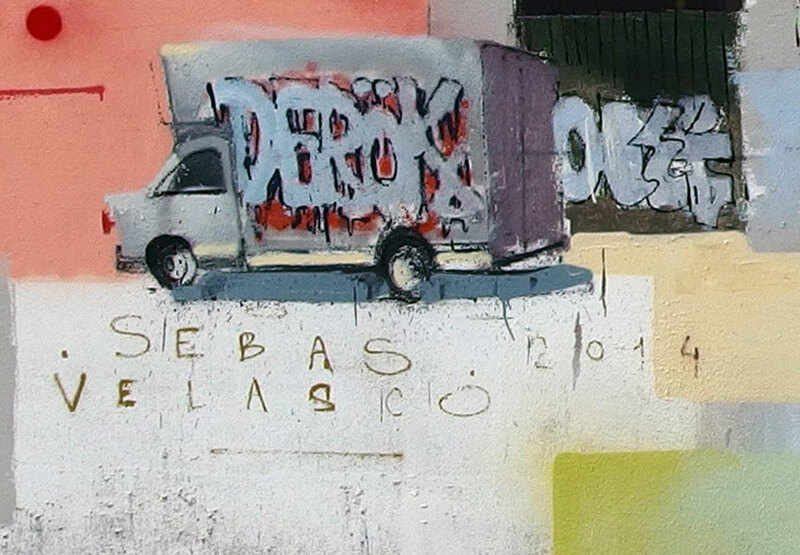 Sebastian Velasco’s newest wall piece can be found in Cordoba. The mural was collaboration with Seck and Rage. 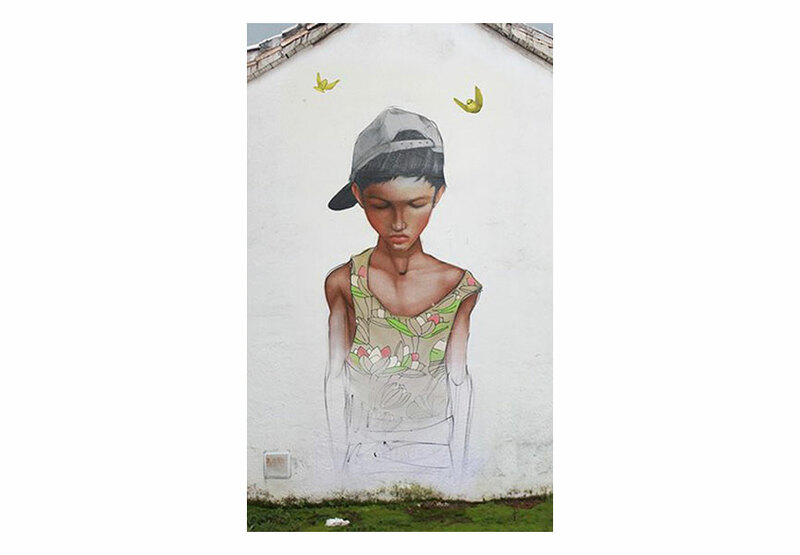 Velasco’s style is clearly recognizable by its illustrative background and realistic elements. Seck and Rage sprayed the classic graffiti pieces on the scenery that Velasco painted. 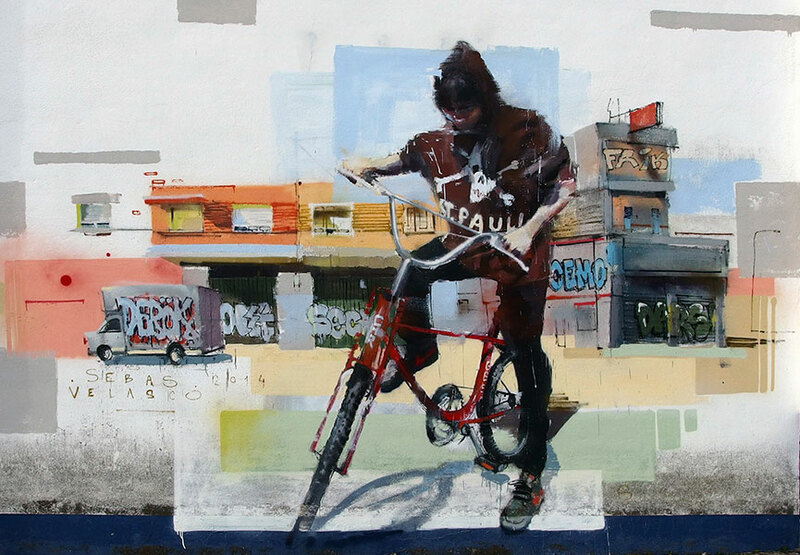 The boy on the bicycle is painted in Velasco’s smeared style. 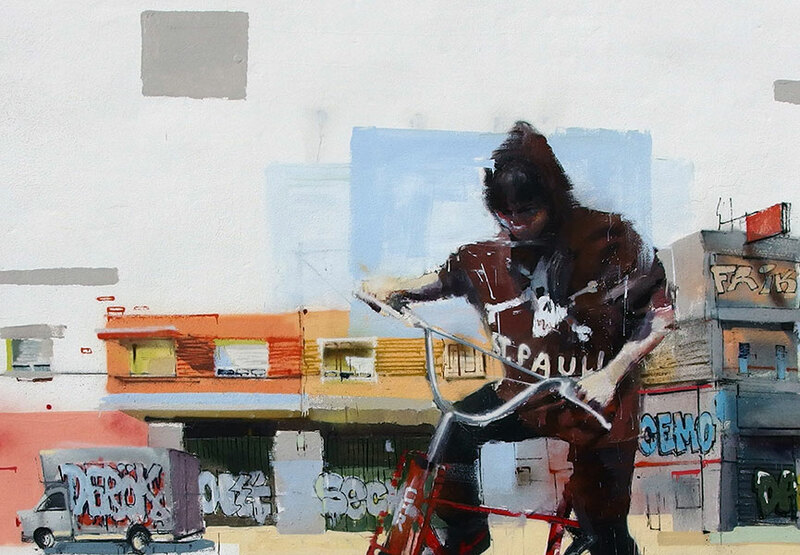 This gives the artists central images an anonymity that reflects the isolation in urban life. 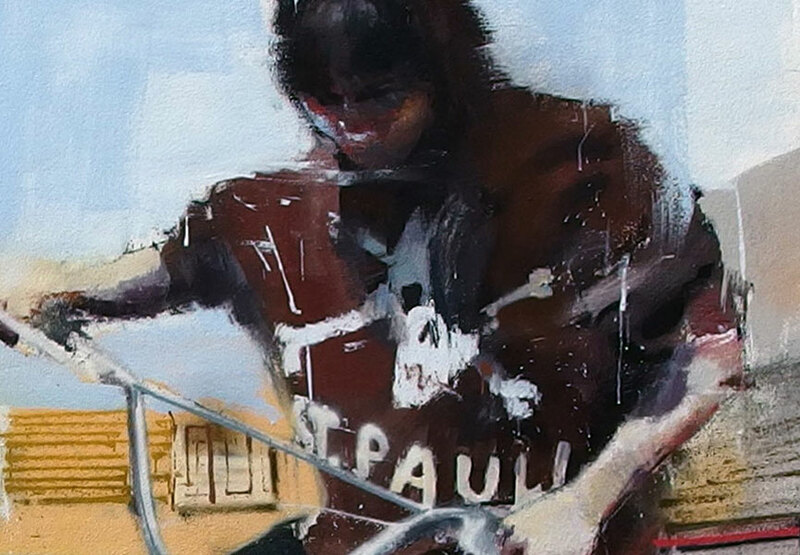 What we love about this particular boy on a bicycle is his St. Pauli sweater he’s wearing. St. Pauli is a notorious German football/soccer club that has a leftist-punk following, giving the club a cult status. 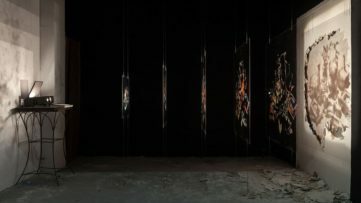 Inside Gonzalo Borondo’s Biggest Exhibition to Date!